The Japanese Programme hosted the 6th annual NCEA Japanese workshop for secondary school students on Thursday 7 June. The workshop was attended by 380 students from 15 schools and was hosted with support from the Canterbury Network of Teachers of Japanese. 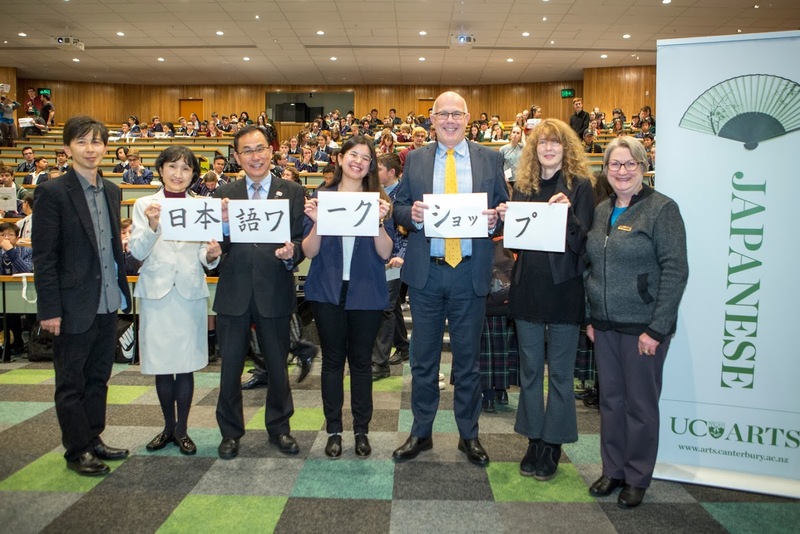 The event attracted the largest number of participants since it began in 2013 and is the largest Japanese language education event of its kind in New Zealand. The day started with a warm welcome from Professor Ian Wright (Deputy Vice-Chancellor) and greetings from Mr Tsunakake (Consul, Consular Office of Japan). A special talk was delivered by UC alumni Ms Maha Sun, on her encounter with Japan at Burnside High School and her learning experience at UC, including her studies at Waseda University as a UC exchange student. The secondary school students had three intensive language sessions, with 27 UC students who helped them learn Japanese as role models and mentors. 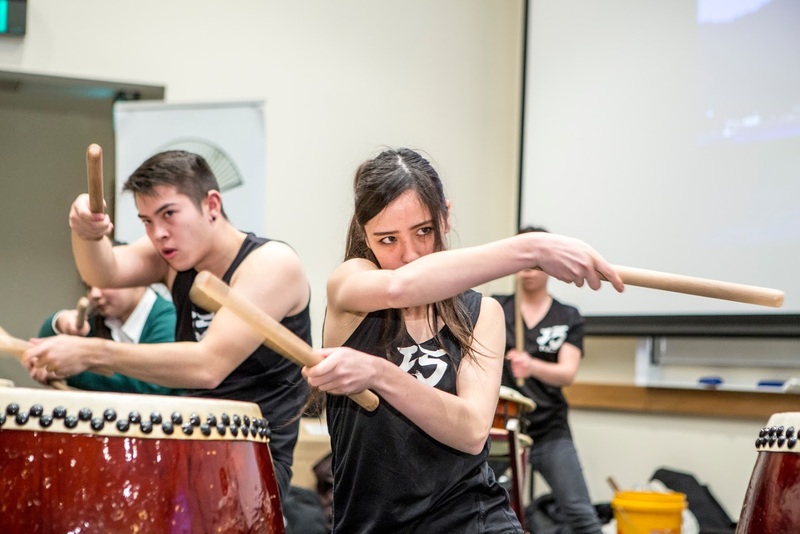 The workshop finished with Japanese drum performance by Takumi, feedback by Dr Kyoko Mikami (National Language Advisor), and a whole group dance followed by a hand-clapping ceremony. The feedback was overwhelming, indicating those involved enjoyed their day at UC. Photos: NCEA Japanese Day, opening, held in C Block with Ian Wright, Japanese Consul David Tsunakake, keynote Maha Sun, Sabine Will, Mrs Tappenden. Group photo and whole class, drums, dancing competition, prize presentations, 7.6.18Client, Masayoshi Ogino, Japanese. On Tuesday 25 July, the Japanese Programme released this year’s collaborative dance video – ‘Koi Dance’. This dance, which originates as the theme tune of a popular Japanese TV drama, has become a craze in Japan. 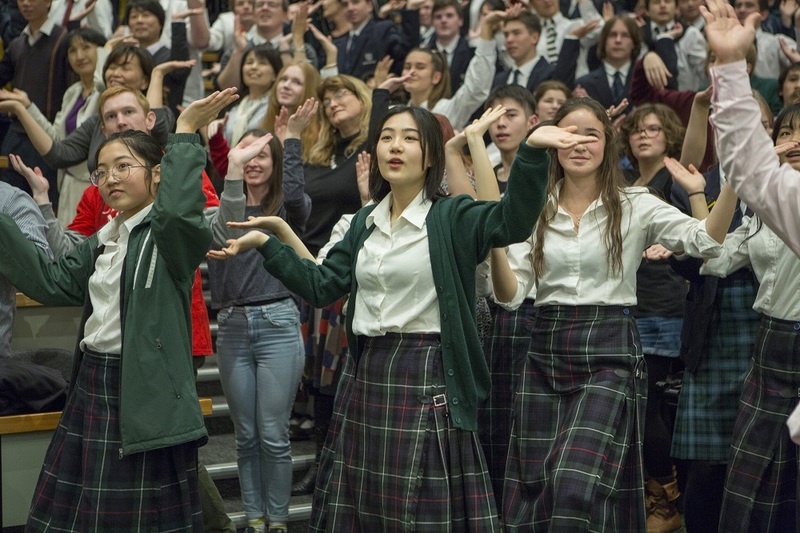 Our version was made from sections of the dance performed by all 400+ participants at this year’s annual NCEA Japanese Workshop at UC in June, edited together with sections made by the 15 individual participating local high schools. The dance video has attracted over 25,000 hits since its launch and we are hoping that it tops the 89,000+ hits that last year’s dance attracted.